Last Friday evening the second egg of the clutch was laid! Both embryos have now been developing for at least a week, and the first-born should be on the verge of looking somewhat bird-like. While a 9-day old chick doesn’t look convincingly avian, by day 11 the beak and limbs appear more formed, and the eyelids begin closing. 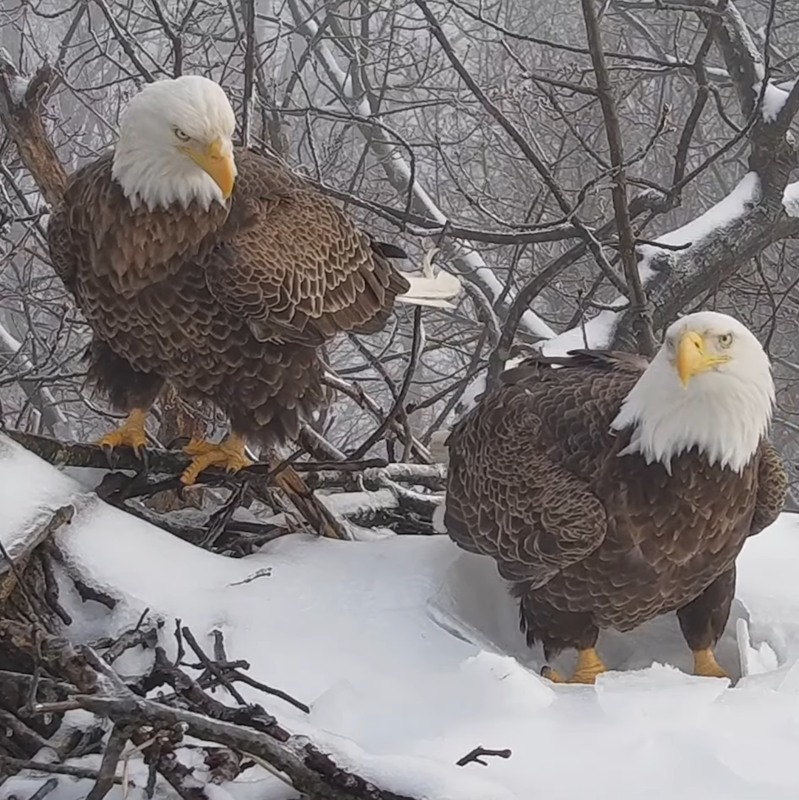 Though veiled from our eyes, each day these little chicks are developing more and more eagle characteristics, all made possible by the very crucial parental behavior of incubation. 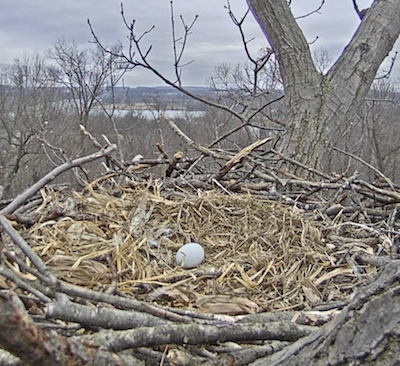 Eaglet on the Way! 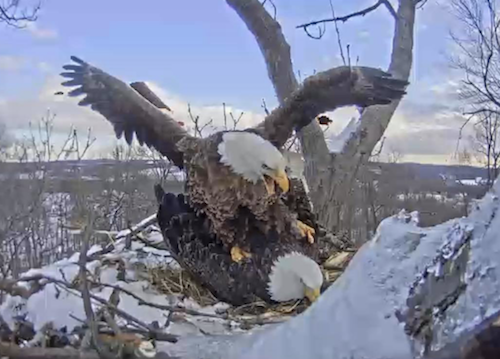 At approximately 5:07 on Tuesday evening, the moment we’ve been waiting for finally arrived in the form of an oval-like, mostly white, rough-textured, beautiful EAGLE EGG! 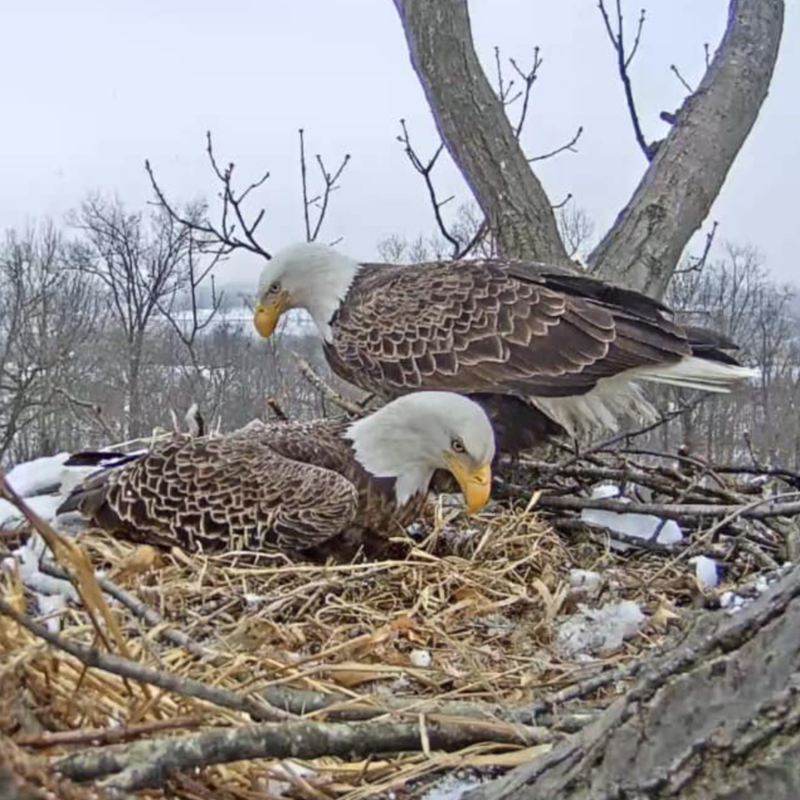 Congratulations to Liberty and Freedom; we are all eager to see what lies in store for this brand-new addition to the Hanover nest. Happy belated Valentine’s Day to the Hanover eagles! 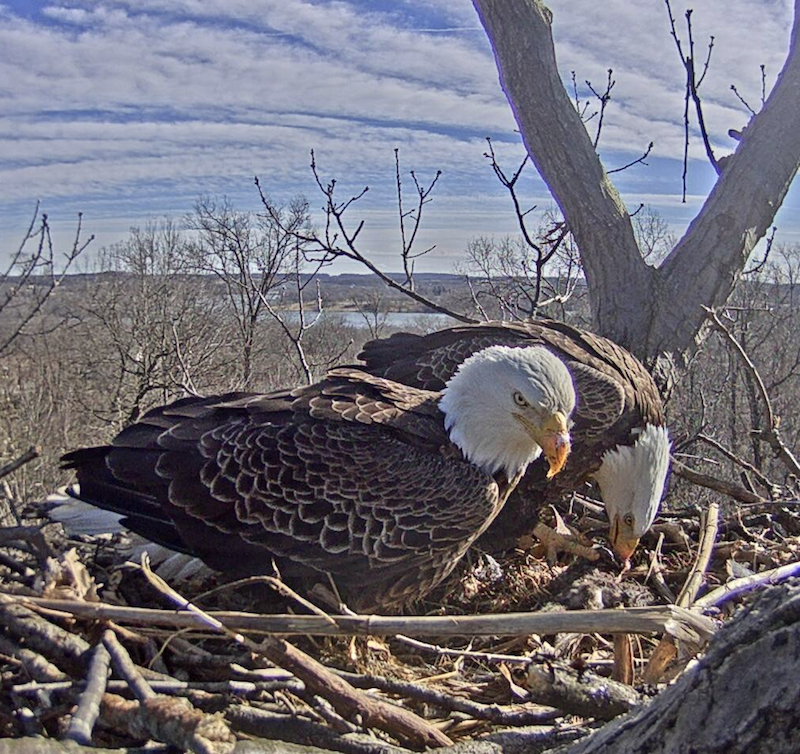 Love is likely in the air, seeing as the first egg at this nest has historically been laid around this time, and copulation may occur soon if it has not already. Did you know bald eagles have had to fight hard to survive and carry on their populations through many hardships?